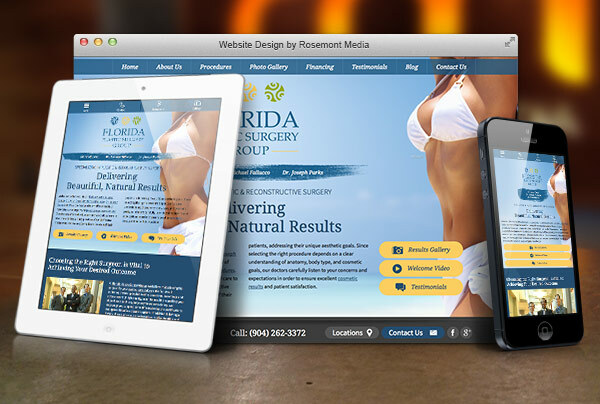 The team at Florida Plastic Surgery Group has worked closely with Rosemont Media for the launch of their new, responsive website design. Committed to providing superior surgical care, the physicians have updated their practice’s website to be a more user-friendly and informative resource for patients researching cosmetic and reconstructive plastic surgery procedures. Through its responsive format, the site’s dimensions adjust according to the device being used to access the Internet. This allows for easier navigation and a more convenient layout to find procedural information. Additionally, the plastic surgery practice’s website has been designed using the latest SEO strategies to increase its presence online, helping patients find the website more easily. From pages on breast reconstruction to tummy tuck surgery to skin care treatments, the new website has a thorough description of every procedure to help patients learn more about their treatment options.